A pair of fresh, young Amethyst Laccaria (Laccaria amethysteo-occidentalis) mushrooms. 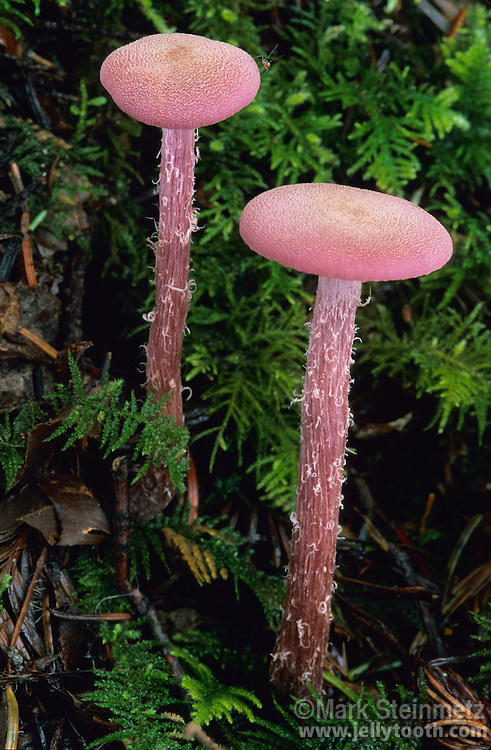 Laccaria species are mycrorrhizal with trees. This species is particularly associated with pines. Mendocino Woodlands State Park, California, USA.